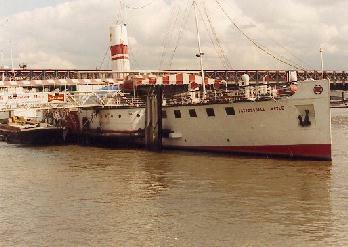 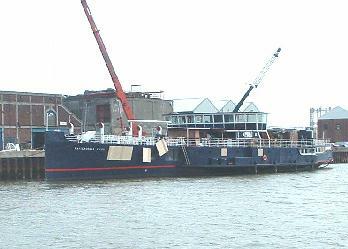 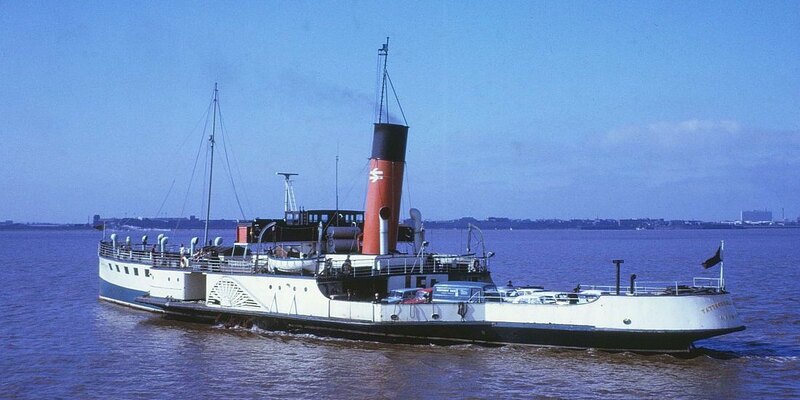 At the beginning of October 2003, Tattershall Castle was towed to Tilbury and transferred to a barge for the final leg of her journey to Great Yarmouth, for refurbishment. 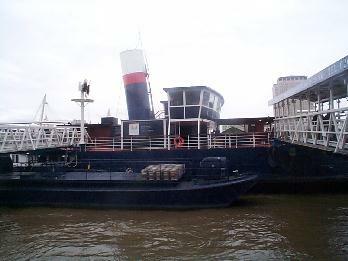 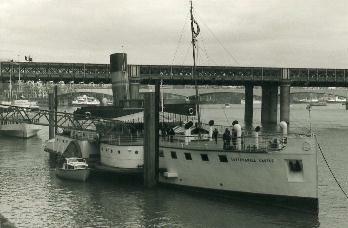 Her paddle wheels have been removed and her bridge totally rebuilt (again). 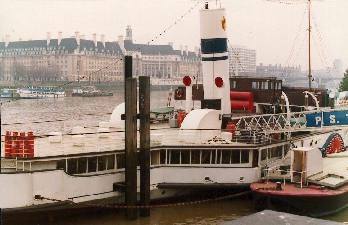 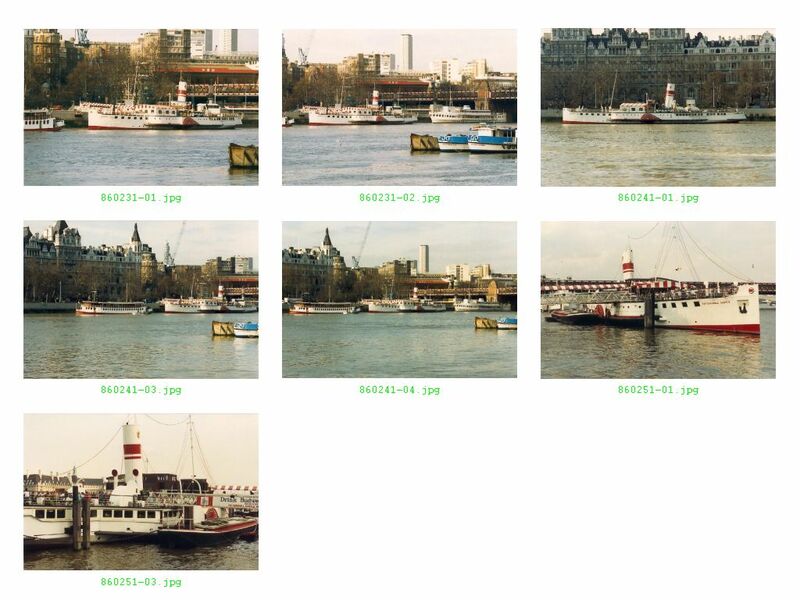 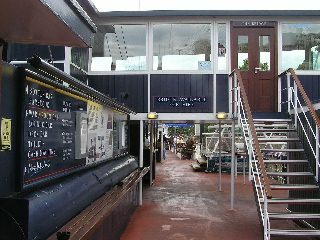 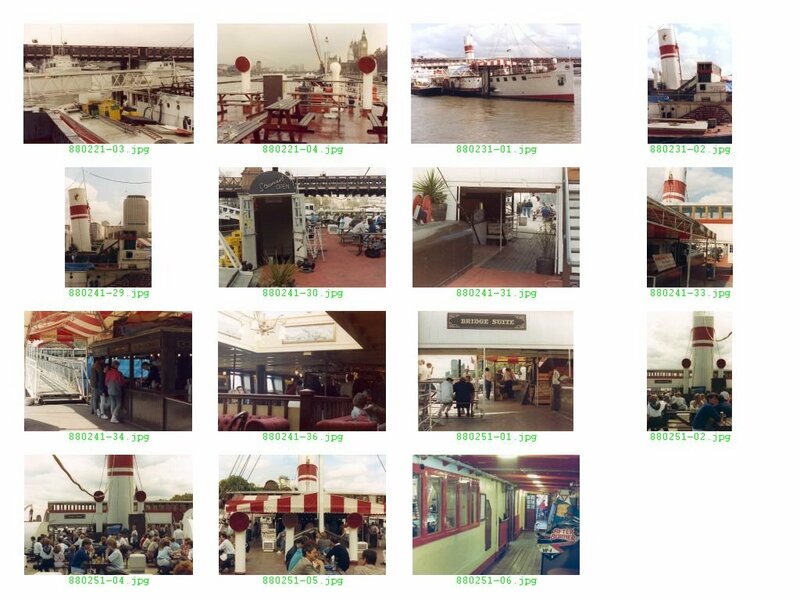 Larger windows have been cut in the forward lounge affording a better view of the nearby London Eye Ferris wheel opposite her berth on London's Embankment to which she returned ion May 19th, 2004. 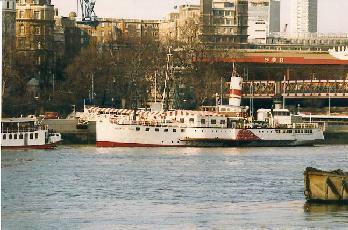 The refurbishment cost a total of GBP 4.75million.